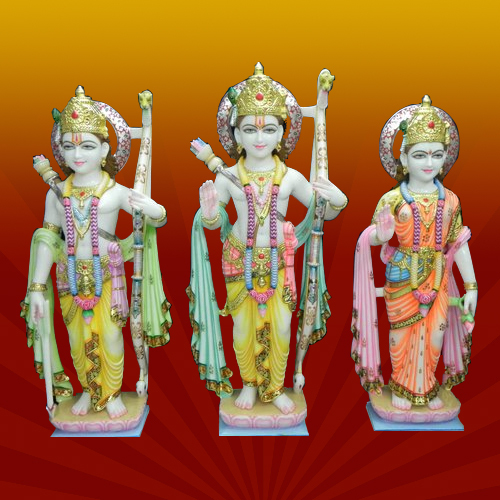 The Marble Ram Lakshman Sita Statues offered by us reflects the fluent sensibility of our craftsmen. The eye catching range exhibits outstanding beauty and elegance. 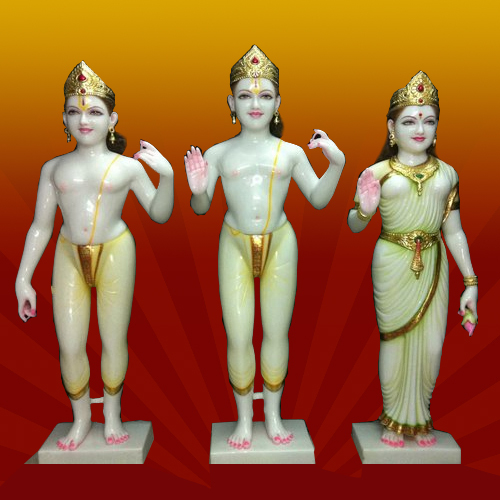 These statues with dress and jewellery are known for perfect finish and fine artistry. Reflecting the perfection, these Marble Ram, Lakshman, Sita Statues relates with an ageless saga of beauty. 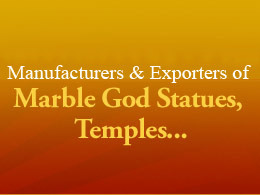 These statues are crafted with high quality marble and are ornamented with rich and royal colors. 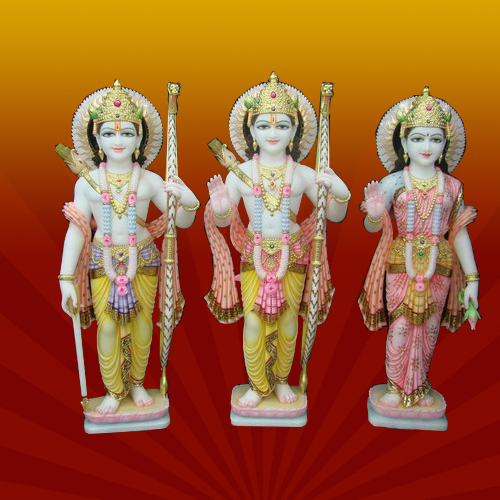 We bring forth a marvelous range of Ram Lakshman Sita Murti. The sculptures are having lustrous finish that enhances the aura and reflects true image. These statues are known for lively appearance and beautiful design. 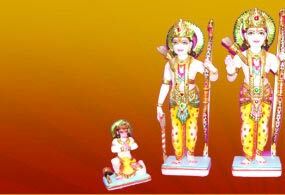 The Ram Darbar presented by us is the stunning representation of ram flanked by Sita and Lakshman on either side and Hanuman sitting on the ground in a regal posture. 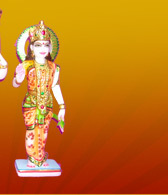 These dexterously designed statues are known for smooth finish and are perfect for placing in temples. 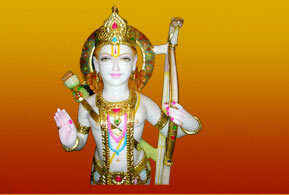 Backed by our creative workforce, we bring forward intricately carved White Marble Ram Lakshman Sita Murti. 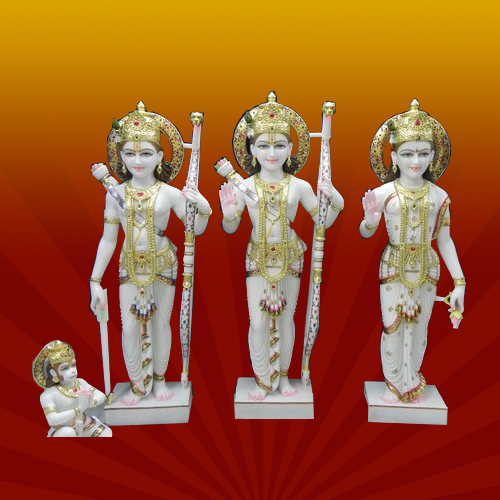 The murti is made from high quality marble and offer high durability with longer service life.